Normally hotels will give a discount when you book a certain amount of rooms for you wedding guests. However, if you’re not finding a hotel willing to give your guests a discount you can negotiate with hotel staff and managers to get a better rate. Here’s how you do it. Is your wedding during a high traffic time for the hotel or not, certain times of year due to vacations, holidays, and festivals hotels experience a bump in customers. If you try to book hotel rooms during this time you might not be able to block rooms for your guests or get a good rate. To avoid this, once you’ve decided on the date and venue, immediately start calling hotels on your guests behalf. Get quotes and use these quotes to negotiate a lower price saying hotel B offers rooms for a certain price, if you beat their price I can guarantee X number of rooms for my wedding. Don’t call the 1-800 number of a hotel to book the rooms, it’s best to go in and talk to the manager in person to get the deal you’re looking for. Most hotel chains use a calling service to field reservation calls. You can only get a special rate from a human being, not from a computer. Once you’ve negotiated a rate get it in writing with a reservation number that you can give to your guests. And make sure that the rooms you have booked for your guests will not incur add-on charges because the rooms overlook the pool, golf course, park etc. Another tactic you can use is asking for a super saver rate. Ask if the hotel offers any super saver rates, discounts, or specials. Most hotels will offer some type of discount off the regular rate if it encounters resistance from the would-be guest. You can also inquire about CAA, AAA, or senior citizen discounts too. Most hotels offer special prices for people who belong to one of these clubs, or are over a certain age. If you work for a government agency, corporation, military or contractor you might be able to get a special rate as well. Likewise, if someone in your wedding party works for the travel industry, they might be able to get a discount as well. 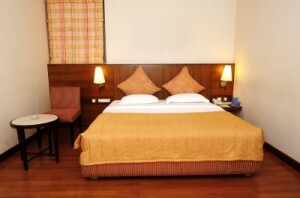 You can also choose to book rooms that have connectors. These rooms aren’t too popular with people because they connect to another room by a locked door, and because you never know who’s on the other side of the door these rooms are less likely to be rented. But if you offer to take these rooms off the hotels hands maybe they can in turn give you a discount for doing so. Now that you are armed with some great negotiating material, go out there and get those rooms you need for your guests at a better rate!